Married At First Sight: Happily Ever After stars, Danielle Bergman and Bobby Dodd were asked to rate their marriage on a scale of one to ten in the last episode. They rated their relationship with a perfect score. Ashley Petta and Anthony D’Amico agree that they have a strong marriage but there is still need for improvement. They were on the same page with Ashley rating it a nine and Anthony rating it an eight. Shawniece Jackson and Jephte Pierre know they have obstacles to overcome therefore Shawniece rated their marriage a six. Jephte feels he can’t rate their relationship until they work through their issues so he left his paper blank. This week on the show the relationship experts want to find out why the couples gave their marriages the ratings they did. They also want to help them identify and work on the areas of their marriages that need improvement. The relationship experts give the couples three separate activities to do to strengthen their weaknesses. They are designed to help with the specific challenges each of the couples are facing in their marriage. Here’s what happened with the expectant newlyweds on the last episode Married At First Sight: Happily Ever After. 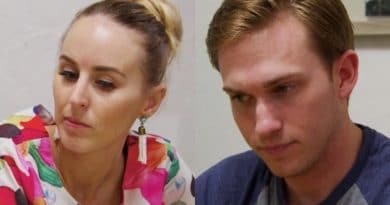 On Lifetime’s Married At First Sight: Happily Ever After Danielle Bergman and Bobby Dodd are very different in the way they express their emotions. Bobby says that he is very emotionally expressive due to being brought up in such a close-knit family. Danielle, on the other hand, comes from a family that is not very affectionate. It has affected how close she is with people and she has a hard time communicating and expressing emotions. Pastor Cal, from Married At First Sight, gave Bobby and Danielle and activity to complete. They had to pull blocks from a Jenga-style tower that had words on them. If they choose a block with a word on it, they had to read it and express a time in their relationship where they felt that way. The object of the activity is to get Bobby and Danielle to open up and communicate any feelings they may otherwise keep inside. Bobby was very committed to the activity while Danielle seemed to be holding back. Danielle kept choosing blocks without words and Bobby wondered if she was doing it on purpose to avoid talking about her feelings. Bobby is craving feedback and assurance and Danielle just will not put in any effort. Danielle Bergman says she’s comfortable expressing her feelings to Bobby Dodd she just needs to remember to do. She promises to make a sincere effort to do that. Married At First Sight: Happily Ever After’s Ashley Petta and Anthony D’Amico have completely different ways of communicating. Ashley feels that Anthony can’t be serious and makes light of everything. Dr. Pepper says that they should respect their differences because they’re never going to be the same person. Ashley feels that she shouldn’t have to be okay with the fact that Anthony makes light of serious matters. Dr. Pepper gave them an exercise where Ashley and Anthony each had to take a creative photo as a souvenir of their time there. The purpose of this exercise was to allow Anthony to take the lead and test Ashley’s ability to listen and take instruction. Ashley had a tough time letting Anthony take full control and kept chiming in on his photo. Anthony D’Amico admits that he should communicate his feelings to Ashley Petta right away instead of holding them in. He is making a strong effort to communicate with Ashley and let her know exactly what he needs and how he feels. Married At First Sight: Happily Ever After’s Shawniece Jackson and Jephte Pierre’s marriage got off to a rocky start. Early on in Shawniece’s pregnancy Jephte was unhappy so the couple separated. Jephte went back to the single life and that hurt Shawniece deeply. When asked to rate their marriage Shawniece gave a six and Jephte was unable to rate it at all. 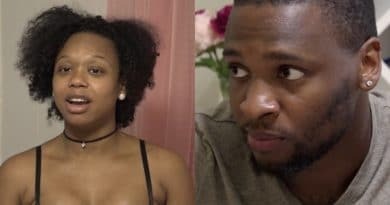 Shawniece and Jephte seem to be on the road to a better place on the Married At First Sight spinoff. Jephte says that Shawniece is the person he wants to spend the rest of his life with. Shawniece feels that they communicate well except when they fight. She says they have a hard time fighting fair. 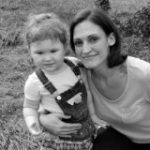 Dr. Jessica thinks this could be due to the couples unresolved issues. The activity that Dr. Jessica assigned was for Jephte and Shawniece to each make a list of things they love about the other person and communicate those lists with each other. Jephte and Shawniece said some beautiful things about each other. They really committed to the exercise. Dr. Pepper said she could see Jephte being softer towards Shawniece and Shawniece being more vulnerable to Jephte. Jephte wants to be as open and transparent with Shawniece as possible. They are both working on relying and depending on each other and admitting that they want and need each other in their lives. This is the end of the couples retreat but the beginning of the journey for all three of the newlywed MAFS couples. They have bonded and become friends during their time in Old Saybrook CT and have made plans to go back again. Next time with Married At First Sight babies in tow. The couples have made some incredible progress in their marriages although they still have some work to do. Watch Married At First Sight: Happily Ever After on Lifetime, Tuesdays at 10 pm Eastern to follow your favorite couple on their journey. Stay with Soap Dirt for all the latest Married At First Sight spoilers and news.